Weymouth Pavilion is no longer Council Run! It is now operated by a not-for-profit Community Interest Company (C.I.C.) Which successfully saved it after closure by Weymouth & Portland Borough Council in May 2013. We now have a very busy program of not only shows and events but also private hire for corporate functions, parties, meetings etc. 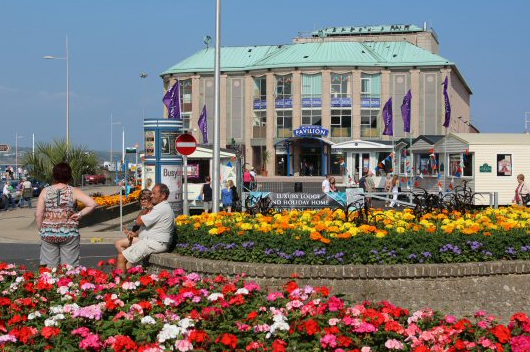 Weymouth Pavilion has several full time staff and numerous part time staff to assist in the bars, cafe, box office and technical departments where necessary. Our dedicated staff are always on hand to assist with any requests and these are supported by “Friends of Weymouth Pavilion” which is an independent group set up to assist with providing volunteers and fundraising. Please see our Volunteering page for more information. Thanks go to everyone who has and is supporting us in our goal to keep this valued building open and thriving – long may it continue! Go and visit Weymouth Pavilion and then come and pop into taste* Chesil for lunch or afternoon tea. Or why not start the day off with a taste* chesil breakfast and then go explore Weymouth and Portland. Visit Weymouth Pavilion website to find out more.